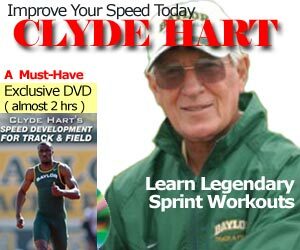 Two years ago, Richie Mercado of the North America, Central America and Caribbean Track & Field Coaches Association (or NCCACTFCA) wrote a review on Loren Seagrave’s Neuro-Biomechanics of Maximum Velocity Sprinting. Part 2 of his review is here. Ralph Mouchbahani and Kevin O’Donnell were the co-authors. I had a few comments by email asking for the pictures that he references. So it’s probably easier to give the original article, which first appeared on the IAAF New Studies in Atletics.